Vuelven los Amaya ! 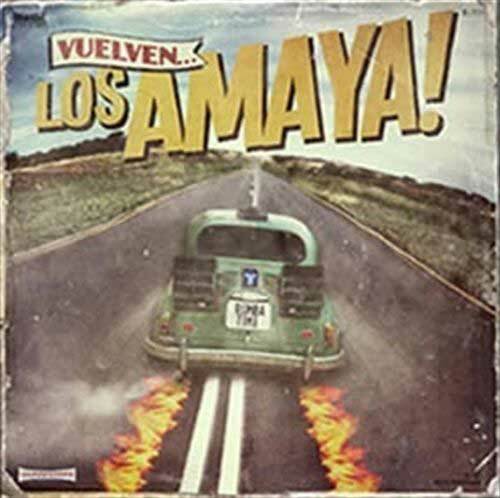 Los Amaya come back with all their hits recorded again and accompanied by Bebe, Macaco, Marlango, Rosario Flores, Antonio Carmona, El Canijo de Jerez, El Arrebato, Muchachito Bombo Infierno, India Martínez, Haze, Lichis and Marina, of Ojos de Brujo. This duo of Jose et Delfín Amaya brothers is very famous thanks to “Vete” their legendary song and they restart their musical activity after ten years with a CD entitled "Vuelven... Los Amaya!". Amaya brothers was the music kings in seventies in all Spanish-speaking countries and their hits was listened in Russia, Holland, The United States, Israel, Japan, etc. They were been out of music since their historic appearance in the closing of Barcelona Olympics in ‘92 but they are coming back with now with this work.